A girl can never go wrong with too many black shoes, right? 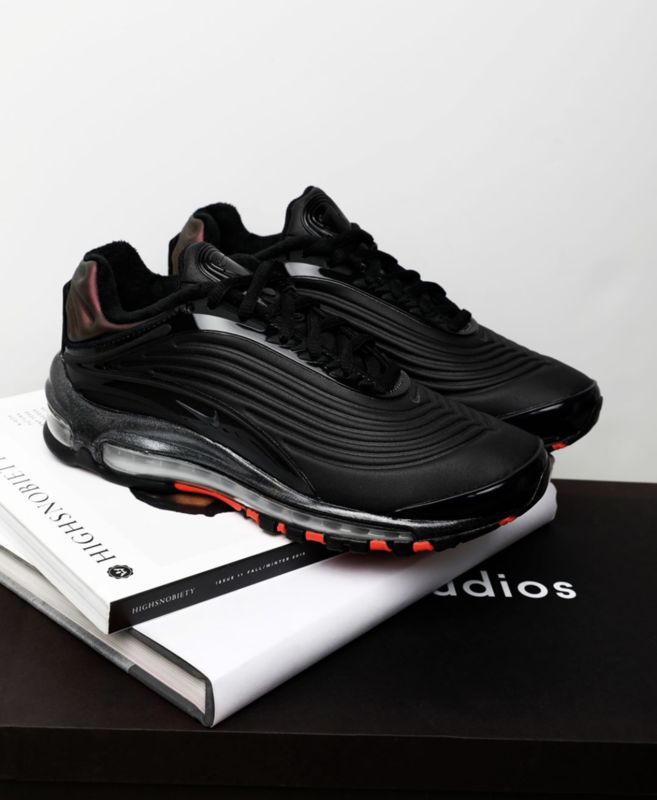 Well, the Nike Air Max Deluxe has an standout design that not only catches the eye but gives the feet an attractive futuristic look. The Deluxe was a favorite in our latest SneakHER Closet with Melissa Chanel. The design takes on a triple black treatment that raises the bar when you need to run the streets or dress up an outfit for date night. The Nike Air Max Deluxe SE is inspired by the Air Max 99 (you know we love taking back to the '99 and the 2000). The upper is detailed with rippling flow that are also inspired by soundwaves. The heel is laced with an iridescent tab that adds some subtle shine and helps you dress up the sneakHER. Stepping out is done in comfort as the Deluxe features multi-window Max Air unit. 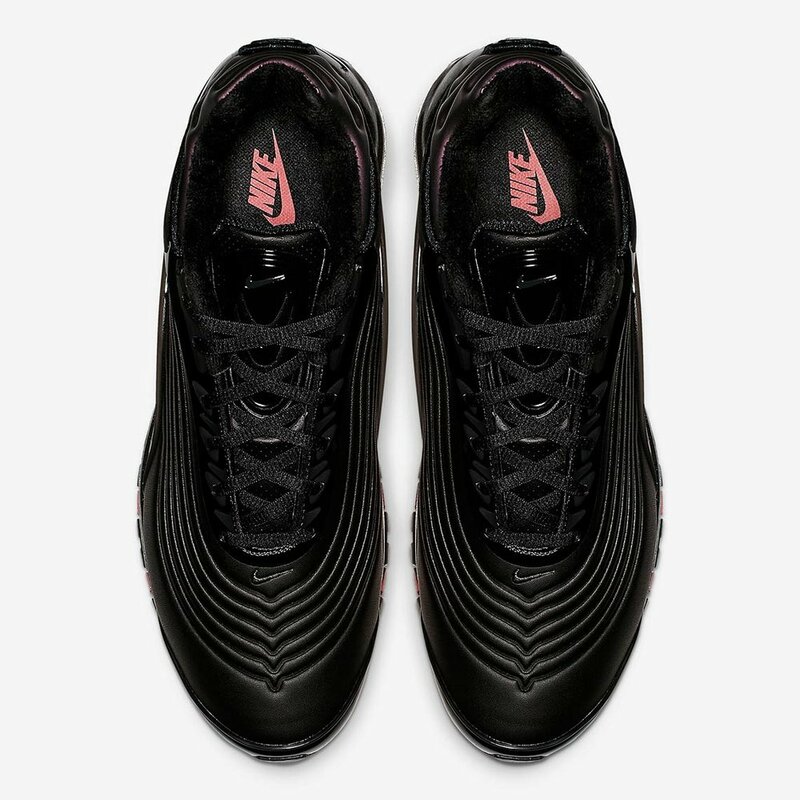 While the black colorway covers the upper, bright crimson accents add pops of color to the outsole. Did this make it to your wish list? It definitely bumped it's way onto mine, and we were able to find full sizing overseas at one of our favorite Euro retailers. Cop and flourish! UPDATE: These dropped on Nike.com a few weeks ago and they're still avaiable. If you're looking to shop stateside, you can SHOP THE SNEAKS below. Have You Seen This Nike React Element 55? Ladies, be prepared to SWOON.